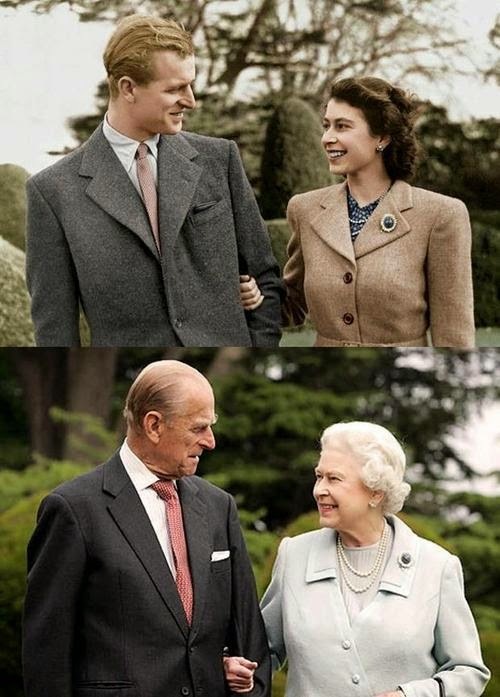 I saw these photos of the royal couple (she's wearing the same pearls and the same brooch) and I thought it was too sweet not to post. Aren't they living the dream? I hope to grow old with the husband. Yesterday we finally received an official copy of our marriage license from this fall. I keep reading it. It's exciting! I'm going to send out a calendar invite to my husband - in 60 years (we'll be 93) - we need to take a similar photo.